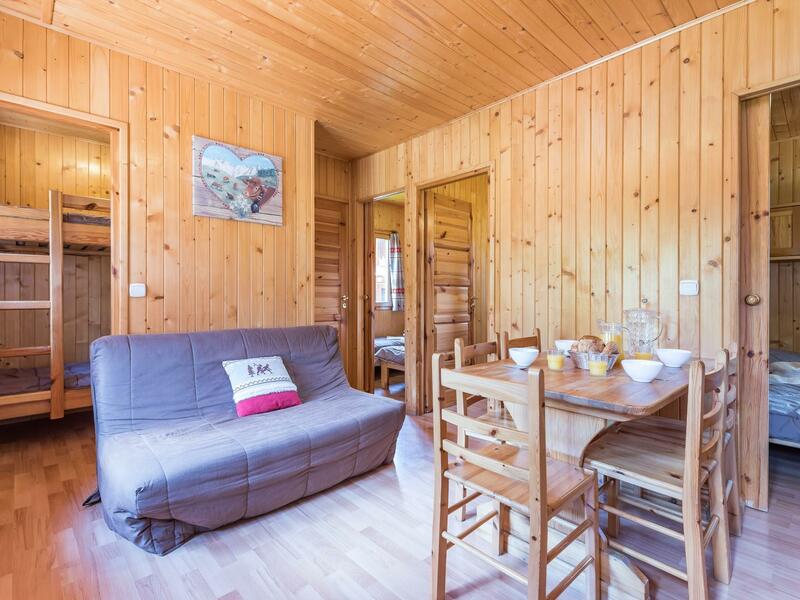 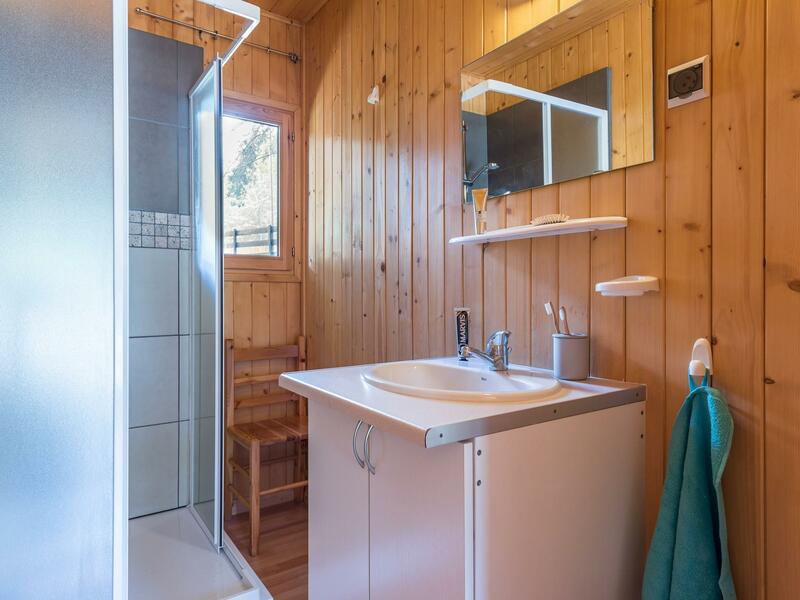 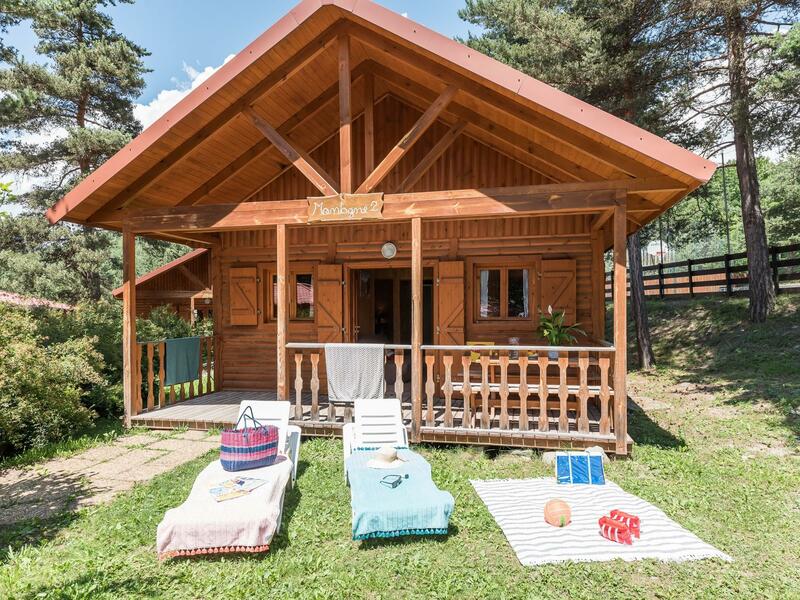 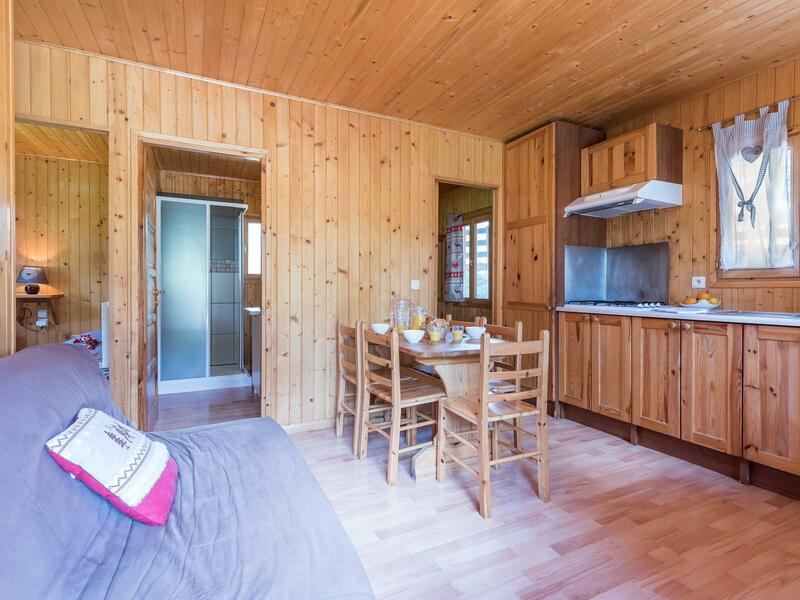 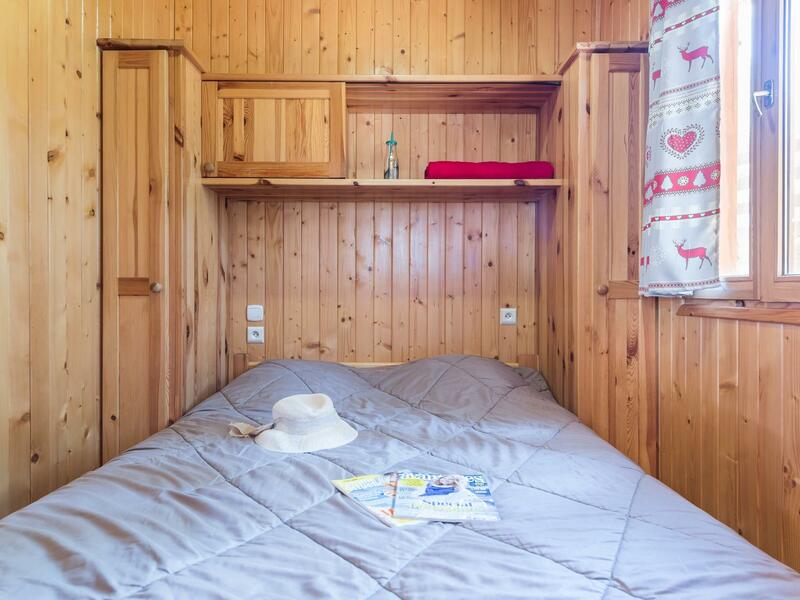 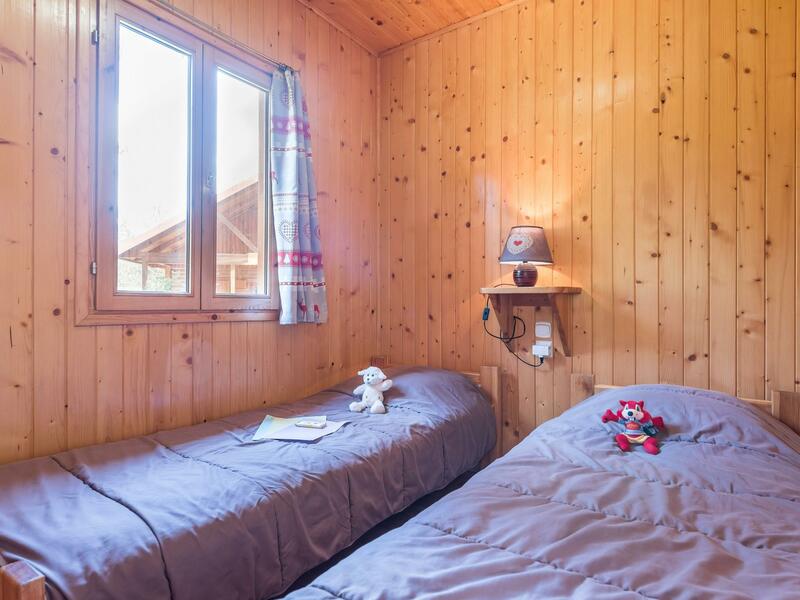 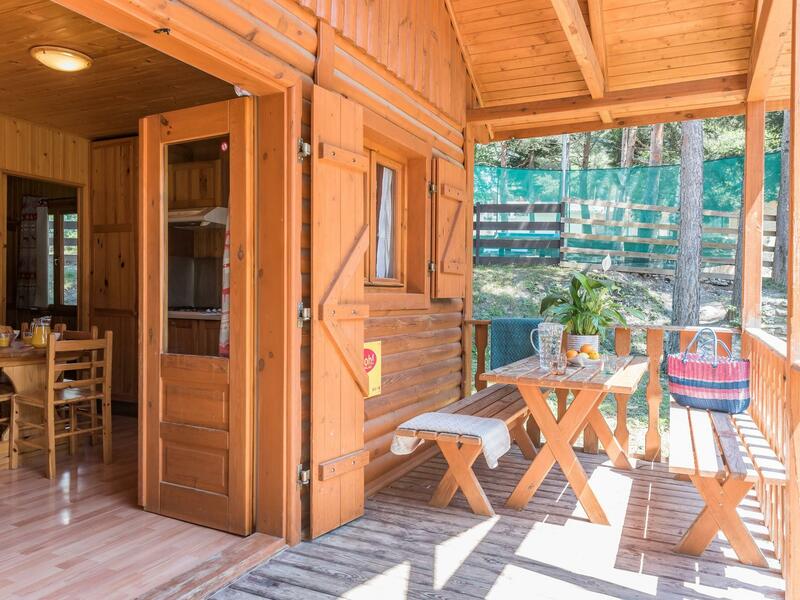 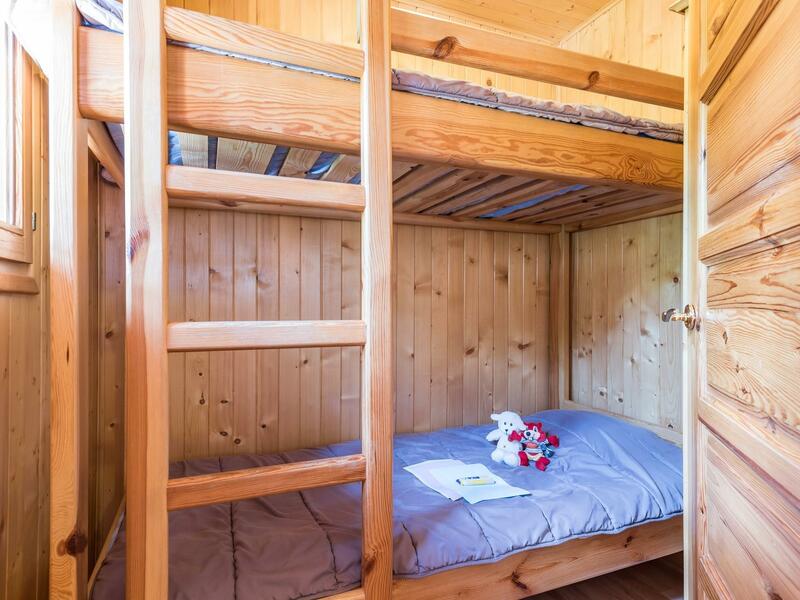 40m², wood chalet, sheltered terrace, perfect insulation. 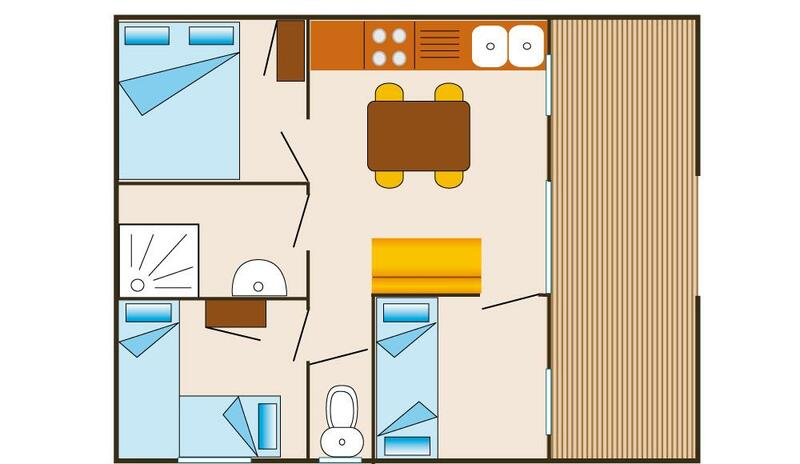 1 bedroom with double bed 140x190 cm, 1 bedroom with twin beds 70 x190 cm, I bedroom with bunk beds 80x190 cm. 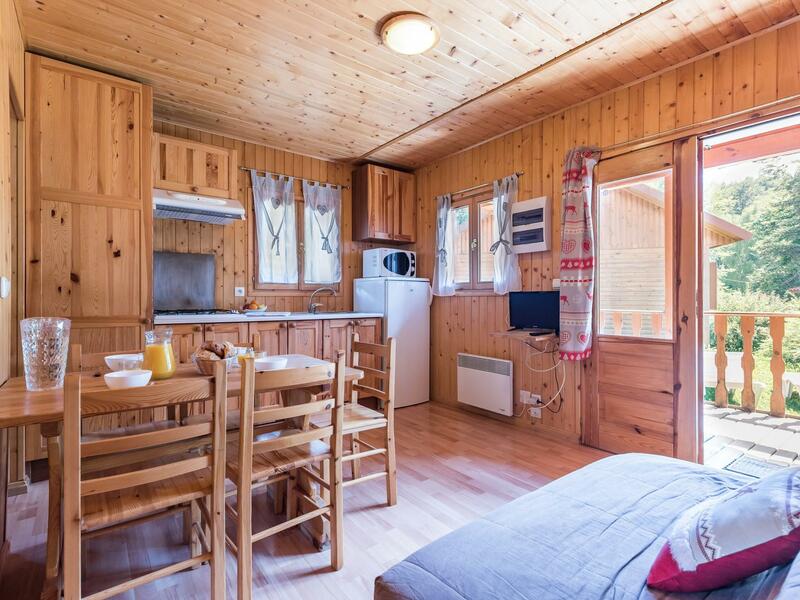 Kitchenette with a 4 burner gas cooker, refrigerator/freezer, microwave oven, I lounge area with convertible sofa, bathroom with shower, separate toilet, terrace with garden lounge area, 2 deck chairs and parasol.